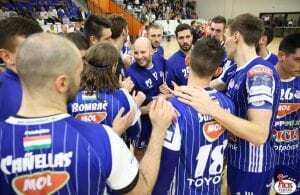 Home / Index category / Telekom Veszprem too strong for PICK Szeged! Telekom Veszprem showed classy performance in the first Hungarian derby of the season! 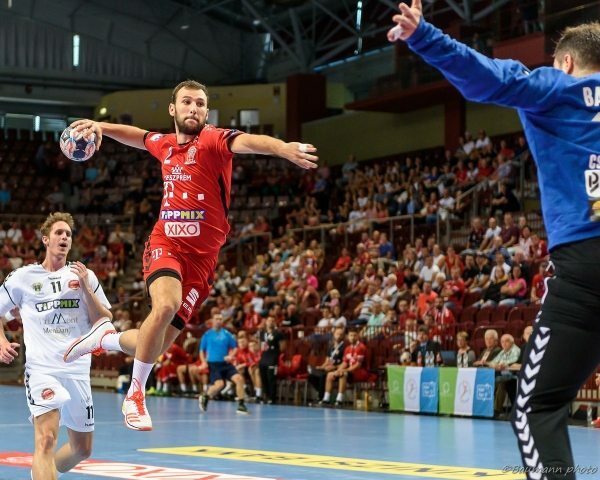 Team led by Ljubomir Vranjes beat the biggest rivals PICK Szeged in away match – 30:21 (14:11) and presented how high level his roster can reach early in the season! MOL-PICK Szeged: Sierra – Sostaric 3, Balogh 3/2, Skube 3, Bánhidi 2, Gorbok 3, Källman, T. Petrus 1, Blazevic, Gaber, Bodó 3, Sigurmannsson 1/1, Zsitnyikov, Buntic 2, Fekete B.
Veszprém: Alilovic – Marguc 4, Ancsin 2, Blagotinsek 1, Ligetvári, Terzic, Manaskov 6, Mikler, Ilics 2, Lékai 4, Ugalde, Tönnesen 7, Győri, A. Nilsson 4, Schuch. ← Previous Story EHF: Women’s CL in two groups with eight teams! Next Story → Fuchse and THW Kiel – no winner in Berlin!